JHNet is constantly investigating new web technology and strives to ensure that our service and product is adaptable to a constantly changing technology. We feel that by being skilled and having experience in a wide variety of internet solutions we are able to propose and offer clients support on their current websites or on new and improved websites. 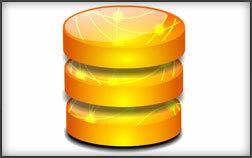 This includes most common found programming languages, open source, social media and other newly developed solutions. Open source software solutions such as Joomla! and WordPress are ideal for individuals or small companies with a limited budget, but need interactive websites and content management systems. 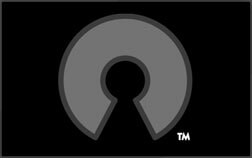 Open source software platforms are also perfect for any self-maintained website, as it requires very little technical knowledge and expertise. JHNet is experienced in setting up and customising all open source platforms, to meet your individual needs. 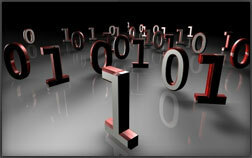 JHNet's team of skilled website developers are well-versed in many programming languages. This enables us to develop websites of any scale, to operate on various platforms. 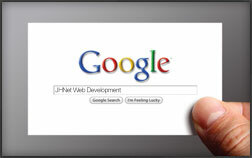 JHNet is able to develop full database driven websites that allow for interactivity and automation of website content. We are experienced in various database platforms, permitting us to create powerful websites on any platform or environment. If your target audience is the first reason for having a website, then Google is most likely the second reason. Every website owner focuses on Google at some stage, and would like to be found in the search index. It is due to this motivation that we work closely with all available tools from Google. This will give you an understanding in how Google interprets your website, and determines its place in the searches.